On the 100thanniversary of the Bauhaus’ founding, the exhibition Visions of Modernism Today explores both the theme of Bauhaus architecture within the field of contemporary photography and the historic relationship between photography and Bauhaus architecture. The meaning of the Bauhaus (1919-1933) as visionary architectural, design, socio-cultural and cultural-historic movement of modernism from the early 20thcentury to today is evident both through the richly varied analyses of its architecture, product and furniture designs and in the unwavering interest in the formal language its many classic objects. Likewise, within the realm of contemporary artistic photography, one sees the recognition and metaphorical transformation of Bauhaus architecture and its antecedents as a multi-dimensional conceptual theme. 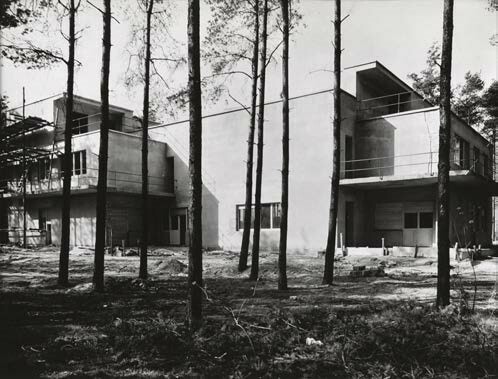 And at the Bauhaus itself, photography was regarded both as a legitimate, autonomous medium of artistic self-expression and as an essential means to interpret and document the new style of building and its visions of modernism. Included in the exhibition are works that, through varying visual concepts and individual perspectives, examine the multifaceted aspects of modern architecture within the field of photography. 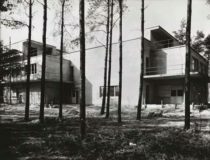 Parallel to these contemporary pictorial examples, the exhibition includes vintage photographs from the Bauhaus era: from Lucia Moholy, from anonymous photographers in the 1930s, and from the Bauhaus buildings in Tel Aviv, through which a comparison of individual processes and concepts is made possible. 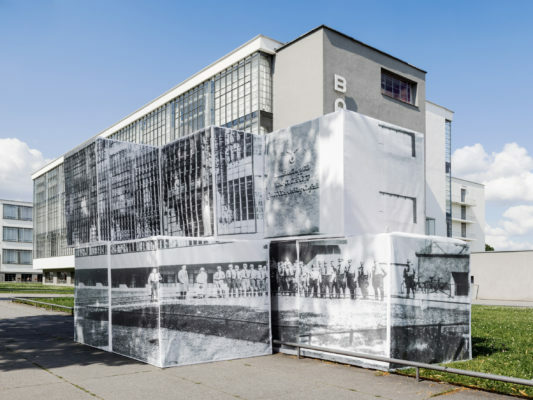 This visual field of photographic works, while comprising differing pictorial languages, enables the juxtaposition of iconographic associations and illuminates both Bauhaus architecture and its ancestral buildings, such as Walter Gropius FAGUS Werkein Alfeld or Bruno Taut’s complex Onkel Tom’s Cabin in Berlin. 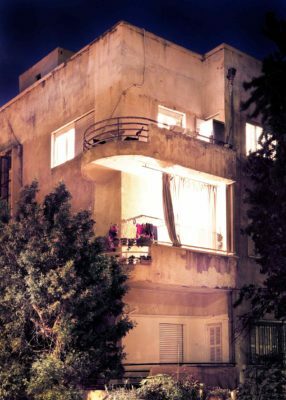 Furthermore, many works relate to later modernist buildings, such as the White City in Tel Aviv, or Le Corbusier’s well-known Chapel of Ronchamp. On the occasion of the exhibition “Modern Visions Today” in the Museum of Photography Braunschweig, Christof Klute and Frauke Dannert have photographed the UNESCO World Cultural Heritage FAGUS Factory in Alfeld (Leine) within the context of their individual artistic practices to create a new series of images of Walter Gropius’ first building. The images will be shown for the first time in the offices of the State Representative of Lower Saxony.